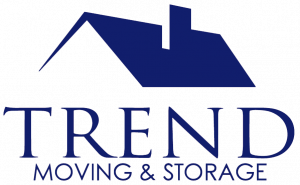 Trying to find out the best moving company in Derry, NH for your residential moving can be an overwhelming task with so many out there offering moving services. But quickly read up these tips to avoid any complications and bad experiences if you plan to hire movers in the coming months. Do extensive and cautious researching: Surf the net, ask your friends who have recently moved out or your colleagues for recommendations. You have to ascertain what type of mover you require. Are you making a local or long-distance move? After you get a handful of genuine, professional movers, start comparing their histories and pricing. Watch out for testimonials, note their years of experience, and also read up their FAQ pages on their website. Remember, everything you see on the internet isn’t true. What Does A Seasoned Moving Company Look Like? Years of Experience: One of the most crucial factors that need to be considered while choosing the best moving company is their years of experience. Seasoned movers are the ones who are skilled, have a good reputation, and have built trust with their customers. They will possess the experience, knowledge, and skills to conduct any kind of relocation. Is the company insured? Only then, you will be able to have the smooth move you are aiming for. In case the company does not possess a license number or insurance, red flag them. Also, find out if their insurance policy covers your personal items during a move. If not, you may want to find supplemental moving insurance. If the company has received awards for their service, it is a plus point. Check out the reviews on the company on sites like Yelp, CitySearch, or TrustLink. These review websites will give you a fair idea of how it is like to work with the company. Low rates don’t necessarily mean a low bill. Find out exactly what is included in the rates. You don’t want to deal with surprise charges. Check if their rate includes fuel charges. Some rates change depending on the season or day of the week. Get the best deal available to make great savings without compromising the reliability and safety of your move. The company should provide you with all the information you need to schedule and prepare for your move. 5 Tips for Moving Seamlessly in Summer in New Hampshire Why Should You Hire a Professional Piano Mover in Hampstead, NH?